Disasters often bring organizations together into recovery coalitions. Many people seem to behave differently during emergencies than they do under ordinary circumstances. Feuding families unite to help each other when a tornado strikes their town, and neighbors who haven’t spoken for years share a candlelight dinner after a hurricane knocks out their power. When faced with a disaster, people become more cooperative and humane, rising above their conflicts and aloofness. But what happens among institutions? In particular, how do transportation institutions-from state highway departments to local transit authorities to private contractors-work together under crisis conditions? It’s crucial that the transportation system continue to function during and after a crisis. Thus it’s important to know whether transportation organizations can collectively muster sufficient flexibility and ingenuity to respond effectively when stretched to the limit by earthquake, flood, hurricane, or tornado. Do organizations enjoy a period of mutual respect as people do in personal interactions, or do they respond as rivals, weighed down by bureaucracy? If they can adapt to crises, can they also improve their day-to-day functioning afterward? In February 1994, the Northridge earthquake in Los Angeles provided an opportunity to ask these questions. Further, it was possible to compare that experience with reactions to the October 1989 Loma Prieta earthquake in the San Francisco Bay Area, which was studied at UC-Berkeley. We at UCLA reviewed the memos, technical documents, contracts, and agreements executed during the earthquakes, plus media reports and transcripts of hearings held by various legislative bodies. We also reviewed the literature on disaster response and preparedness, which goes far beyond specific transportation issues, and interviewed approximately forty people who played critical roles during California’s two most recent major earthquakes. A critical factor determining a community’s response to disaster is the mitigation action-capital investments such as seismic upgrading of structures-taken to reduce harm. Also important are preparedness measures, including emergency procedures, evacuation plans, search and rescue training, and effective telecommunications systems. For some types of disasters, it is feasible to work on prevention- for example, capital improvements aimed at flood control. Here, we don’t deal with preventive measures because earthquakes can’t be averted. The effectiveness of a response also depends on the specific circumstances surrounding the particular disaster-its magnitude, location, and time of occurrence. The Los Angeles quake struck at 4:30 in the morning on a national holiday, which undoubtedly reduced losses (there was only one highway fatality) and affected governmental response. A community’s response to disaster also depends on the extent to which responsible organizations are “vertically” and “horizontally” integrated. Vertical integration is the degree of connection among local organizations and state and federal agencies. Vertical integration makes for open communication channels, resource exchange, common language of discourse, standard operating procedures, and agreed-upon ways of interacting. Effective response to disaster requires cooperation among all levels of government. Horizontal integration is the degree of connection among local agencies-the extent to which they are linked through communication, shared resources, and similarity of practice. Numerous local agencies affect transportation decisions. So, it matters whether they can work together without bickering and impeding one another’s progress. Cooperation among local agencies-those that are most directly involved with the affected community-is critical to successful response. The extent of vertical and horizontal integration must be considered both before the disaster and during the period of response and recovery. Actions taken in the first hours or days after the disaster-the period of emergency-include assessing priorities for immediate action, removing dead and injured people, shoring up precarious structures, and clearing roads. The period of emergency gradually gives way to the period of reconstruction, during which detours may be marked and roads repaired or rebuilt. Finally comes the period of recovery, when the transportation system may resume normal functioning and efforts focus on recovering economic losses and analyzing the experience with the aim of improving the predisaster phase of future disasters. Almost everyone we interviewed agreed that the organizations managing the Los Angeles transportation system responded very well to the Northridge earthquake. Further, while most studies of the 1989 Loma Prieta earthquake found the response there quite successful as well, we found clear evidence that lessons gleaned from the 1989 earthquake effectively improved the 1994 response. Five hours after the earthquake, local and state officials had completed a reasonable inventory of damage, despite having to deal with a broken water main that flooded their emergency operations center. Transportation officials from several state agencies collaborated to develop a quick response plan. Los Angeles Mayor Richard Riordan activated the multiagency Emergency Operations Board, which met on the first day at 9:00 a.m. and 2:00 p.m.
That day, private contractors began demolition at four sites on damaged bridges. These companies worked on the basis of oral agreements with the California Department of Transportation (Caltrans), backed by the Federal Highway Administration. This work implemented “Project Bulldozer,” a plan prepared in advance with the Associated General Contractors of California. Throughout the period of emergency local and state officials worked together to mark detours, which in some cases were changed several times daily to accommodate changing conditions. City sign shops painted paper signs, later replaced by more durable signs, for facilities both inside and outside their jurisdiction. Federal Emergency Management Agency, the Secretary of Transportation, and the Secretary of Housing and Urban Development flew to Los Angeles. These agencies followed preestablished procedures on emergency funding for transportation. In contrast, the degree of vertical cooperation during the Loma Prieta quake was lower, reflecting tension among local, state, and federal officials over which agencies should take charge of operations. In Los Angeles, officials decided early on to let local institutions lead the effort, with other agencies playing facilitative and supporting roles. They based their decision on revised federal law concerning allocation of emergency funds, new operating procedures, and simple good judgment. 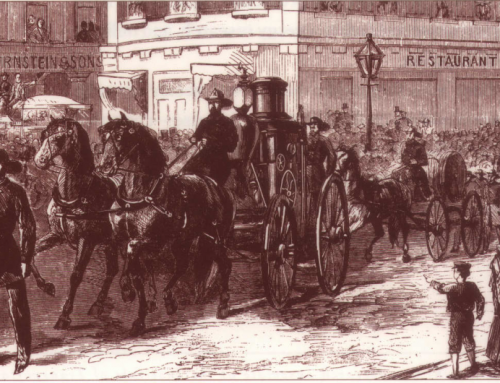 Throughout the reconstruction period, a multiagency task force met regularly to avoid unwarranted duplicative efforts and to insure the region’s numerous transportation agencies took mutually beneficial actions. 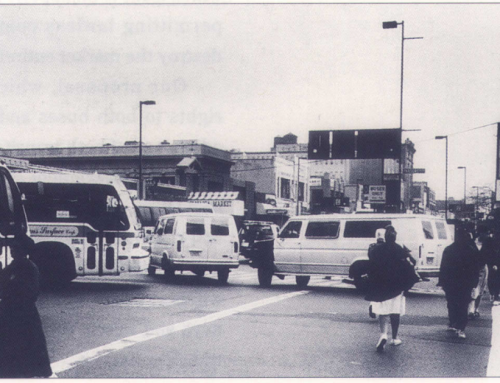 Immediately following the Northridge earthquake, local transportation agencies tended to be competitive with one another, making for a degree of horizontal integration that wasn’t as great as the vertical integration. However, local agencies have historically proved their capacity to cooperate under crisis conditions: for example, at times of civil unrest, floods, mudslides, brushfires, and during the 1984 Olympic Games. While local agencies normally vie against one another for funds, influence, and prestige – or ignore one another entirely – they can become horizontally integrated and work together effectively when it really matters. After the Northridge quake, local agencies cooperatively reconstructed damaged highways. It should be noted that high levels of horizontal integration may have emerged in part because damage to the transportation system was localized. There was severe damage to a few bridges and high-capacity pavement sections, but no damage over an extensive portion of any roadway. Because damage was localized, officials agreed that the only reasonable course of action was to rebuild highways as they previously existed – as quickly as possible and without discussion, debate, environmental reviews, or public comment. By the time demolition was completed, Caltrans had detailed design plans, done mostly in-house but with some contracted out because of limited staff. Some of the contracted work employed expedient “design-build” contracts, which saved time by assigning responsibility for all phases of design and construction at a site to a single contractor. The Loma Prieta quake had created a different situation. While only a small section of the Bay Bridge failed-causing instant consensus, similar to that in Los Angeles, that it should be repaired quickly – the Cypress Freeway, an older doubledeck freeway, failed over a considerable portion of its length, causing many fatalities. Rescue operations continued over several weeks before demolition started, and a study group began investigating the causes of failure. Before the study was completed, citizens’ groups that had opposed the freeway’s construction decades earlier remobilized to oppose its replacement along the same alignment. Soon, a viable opposition arose, influencing local politicians to demand an entirely new route. Today, the freeway has not yet been completed at the new location. In comparison, breaks in the Los Angeles system were repaired within a year. Similarly, the Embarcadero Freeway on the San Francisco waterfront, which was damaged in the Loma Prieta quake, was an extremely controversial structure that had never been finished. 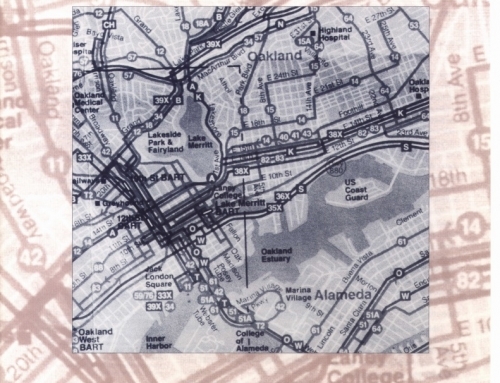 A ballot proposition to remove the Embarcadero Freeway was narrowly defeated in 1986 and communities remained deeply divided about its future. After the 1989 quake, it was torn down and a waterfront at-grade highway plan was adopted to replace the elevated freeway. Los Angeles further revealed its horizontal integration when local agencies provided transit alternatives to automobile transportation during the reconstruction period. A regional commuter rail system, Metrolink, uses existing rail rights-of-way, including lines near several failed freeway bridges (two that stood in rugged terrain where few alternate highway routes existed). The county transportation commission, along with Metro link and many other organizations, arranged for speedy expansion of rail service, borrowing railcars from as far away as Washington state, and extending service beyond pre-earthquake limits. Several cities built simple new rail stations, often complemented by publicly provided van and bus shuttles that traveled between stations and employment centers. Local agencies augmented transit services in an amazingly short time – in just days or a couple weeks. Although increases in bus and rail patronage after the earthquake were rather small on some routes, or large but short-lived on others, the immediatechanges showed the potential for effective local response. Despite initial earthquake-related power failures, the city of Los Angeles ultimately used its Automated Traffic Signalization and Control (ATSAC) system to facilitate dramatic changes in traffic flows along arterial streets near some of the closed freeways. The ATSAC system monitors traffic flow through sensors buried in the pavement and alters traffic signal timing in response to changing traffic volumes. Its effectiveness after the earthquake convinced citizens and politicians of the system’s vast capabilities. In selecting and forming the 110 contracts for the engineering and construction of highway repairs, officials showed unusual flexibility. To spread the economic benefits of the reconstruction program widely, only one contract was permitted per contractor for each task. The city far exceeded its goal of hiring at least 20 percent minority or disadvantaged contractors. The ten largest contracts, responsible for over 60 percent of the total dollar value of all contracts, employed an innovative “A+B” contract format, which proved very useful in this time-sensitive work. The “A” component involved a bid by the contractor for materials and labor and specified a completion time. The “B” portion comprised specified bonuses the contractor would receive by completing the work earlier than the proposed time, as well as penalties the contractor would pay for each day of delay. The value of the bonuses and penalties differed for each project based on the daily social value of having that highway link in operation – calculated by multiplying the pre-earthquake daily traffic volume by the time delay per user resulting from the disrupted facility, multiplied by an estimated value of travelers’ time. The “A+B” format resulted in some controversy. One contractor bid a very low “A” amount for reconstructing the Santa Monica Freeway (I-10)-probably well below the actual cost for materials and equipment – and won the contract. Subsequently, the contractor worked day and night, managing to rebuild the freeway in just 66 days, much faster than the 140 days specified in the contract. The bonus for early completion was $13,800,000. Some frugal politicians complained that taxpayers had been taken to the cleaners. Still, the Santa Monica Freeway was open to traffic months earlier than expected, presumably saving travelers the equivalent of $13,800,000 in the value of their time. 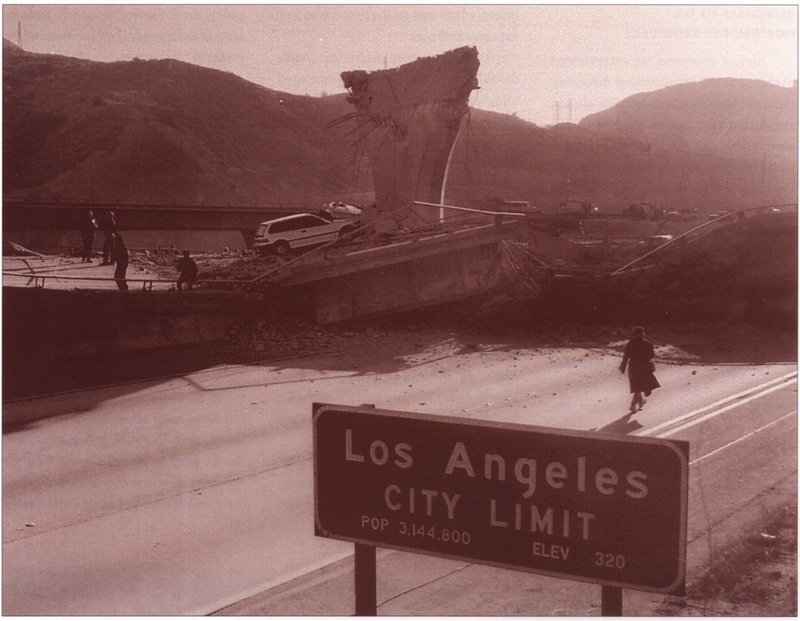 The Northridge earthquake tested the vulnerability of Los Angeles’s transportation system both structurally and functionally. While transportation planners and engineers responded to this earthquake effectively, this was not the “big one” predicted to occur in Los Angeles within the next few decades. Should another major earthquake occur at a different time of day and at a different location, the resulting damage, injury, and disruption may be very different from the losses experienced in 1994. After the Northridge quake, the City of Los Angeles Emergency Operations Board approved a modified “Recovery and Reconstruction Plan,” containing policy statements and implementation plans that reflect lessons learned from the Northridge experience. It provides guidance, but the language is general and advisory, because a generic plan cannot precisely anticipate the best ways to deal with an earthquake of unknown magnitude, which may occur at any time and place. An effective response will depend on thousands of specific acts by people in different agencies at many levels of government and in the private sector. Like individuals in our communities, institutions tend to abandon their prior patterns of conflict over resources and indifference toward one another, quickly becoming cooperating partners. 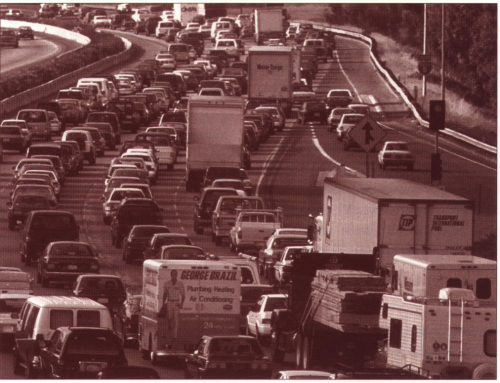 The Loma Prieta and Northridge experiences suggest that transportation organizations possess far greater technical skill, organizational capability, and willingness to cooperate than are apparent in normal times. As with individuals, disasters seem to bring out the best in communities’ capacities to cope. Barton-Aschman Associates, Interstate 5/State Route 14 Recovery Report, California Department of Transportation, District 7, Office of Operations, 1994. Anna K. Bennett and David D. Little, “Earthquake Effects on Employee Transportation,” 1990. UCTC 152. City of Los Angeles, The Northridge Earthquake Recovery Report: How a Prepared City Responded, 1995. Elizabeth Deakin, “Effects of the Loma Prieta Earthquake on Transbay Travel Patterns,” 1990. UCTC 151. Mark Hansen and Sharon Weinstein, “East Bay Ferry Service and the Loma Prieta Earthquake.” 1991. UCTC 162. 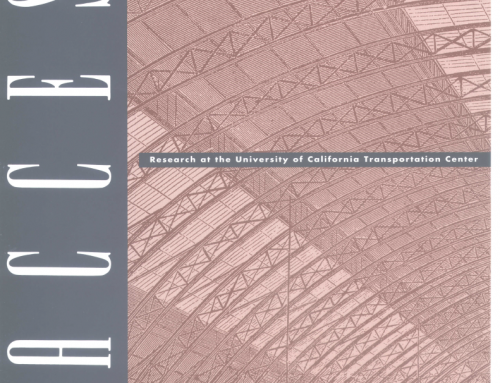 Nabil Kamel, Dulce Marie Leon, and Martin Wachs, “Transportation Decisionmaking Under Disaster Conditions,” Institute of Transportation Studies, University of California, Los Angeles, 1995. Cynthia A. Kroll, John D. Landis, Qing Shen, and Sean Stryker, “Economic Effects of the Loma Prieta Earthquake: A Focus on Small Business,” 1991. UCTC 154.Peter May, Recovering From Catastrophies: Federal Disaster Relief Policy and Politics (New York and London: Plenum Press, 1986). U.S. House of Representatives, Committee on Science, Space and Technology, 103rd Congress, 2nd Sessions, Lessons Learned from the Northridge Earthquake: Hearing Before the Committee on Science, Space, and Technology (Washington, DC: U.S. Government Printing Office, March 2, 1994). U.S. Department of Transportation, The Lessons Learned from the Northridge Earthquake, Federal Highway Administration/California Department of Transportation/Industry Task Force Report (Washington, DC: January 6, 1996). Denis Wenger, “Community Response to Disaster: Functional and Structural Alterations,” in E.L. Quarantelli, ed., Disaster Theory and Research (Beverly Hills, CA: Sage Publications, 1978).